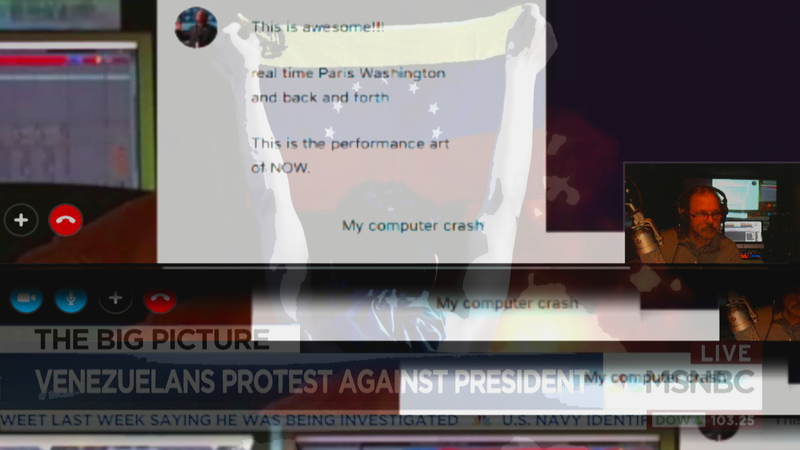 In the Underground Studio Bunker in Washington, DC, headquarters for the Third Space Network (3SN), I have created a live performance space for 24/7 Internet broadcasting. 3SN is for programming ANYTHING I want, WHENEVER I want, without any traditional gatekeepers, curators, dealers, or anyone else telling me what I can or cannot do. 3SN is a social sculpture uniting viewers, artists, radicals, anyone who dares to participate in an ongoing dialogue in the third space, not bound by distance culture or geography.